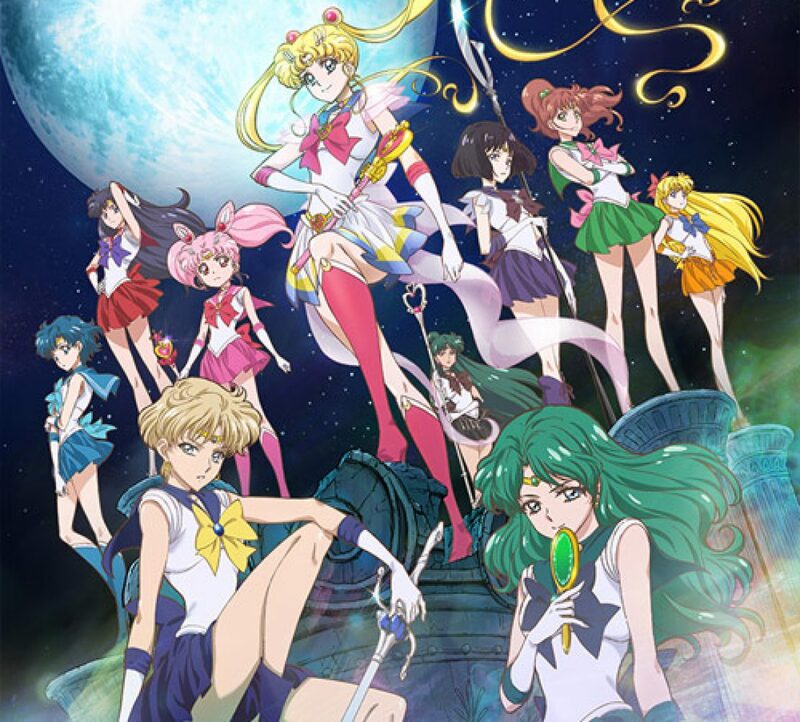 Sailor Moon Crystal Episode 10 Review | The Crystal Chronicles! Before we go to the Moon, we get a science lesson from Ami! Luna informs the girls they will go to the Moon during the next full Moon. 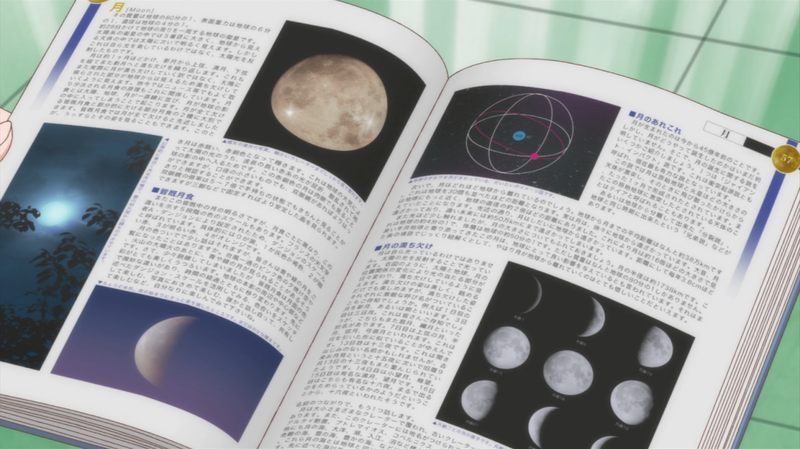 As Ami reads a science book about the Moon; Rei thinks about how they will get there. Can they even breath on the Moon when they arrive? Minako assures the girls she knows to get there and everything will be fine. 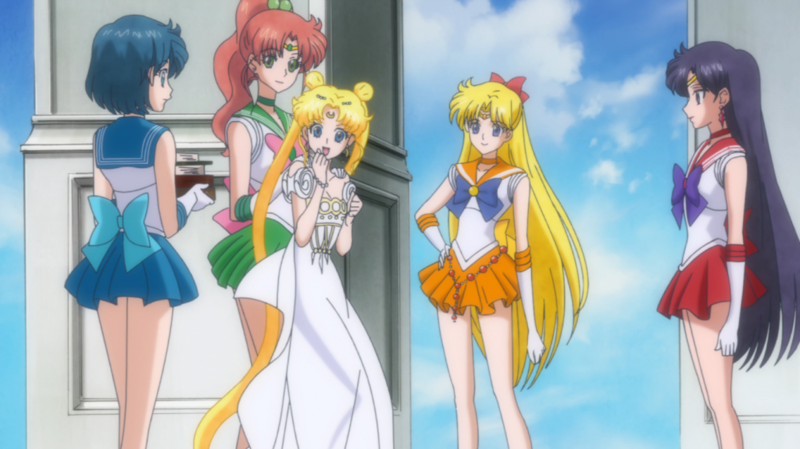 Of course Usagi is no where to be seen by the girls’ side! She is too busy watching Naru playing the Sailor V game. Which is a good thing, since she is finally out of her room and keeping her mind busying after loosing Mamoru. When she is alone in her room, her only thoughts are about how to rescue him from Queen Beryl. She is determined to go to the Moon and learn everything about their past. Hoping she will find a way to save her love. Usagi’s father comes home from work and brings her the Silver Crystal on a necklace. What a nice Dad! She asked him for this favor and he even teased her about her boyfriend giving that crystal to her. Her parents do see her maturing into a woman, but will always think of her as their spoiled little girl. They are discussing this as she is fighting with Shingo over a handheld video game, lol. Ruins of the Prayer Room. 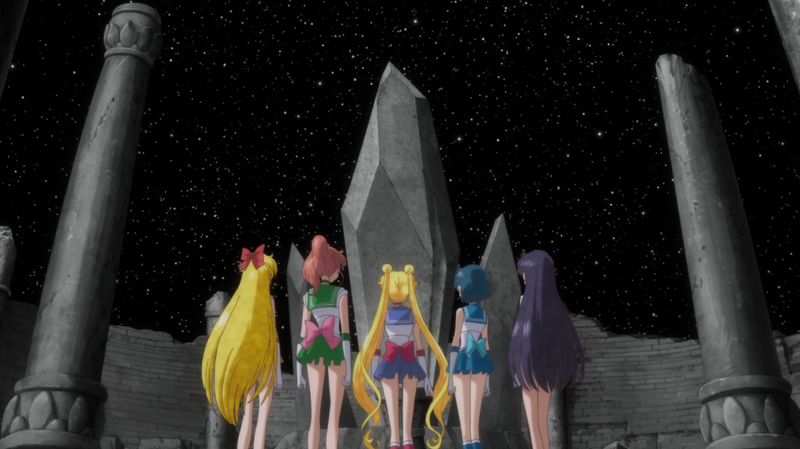 The girls gather in the park as Luna transform the fountain into a transporter using the reflection of the Full Moon. They all transform and walk on to the Moon’s reflection. 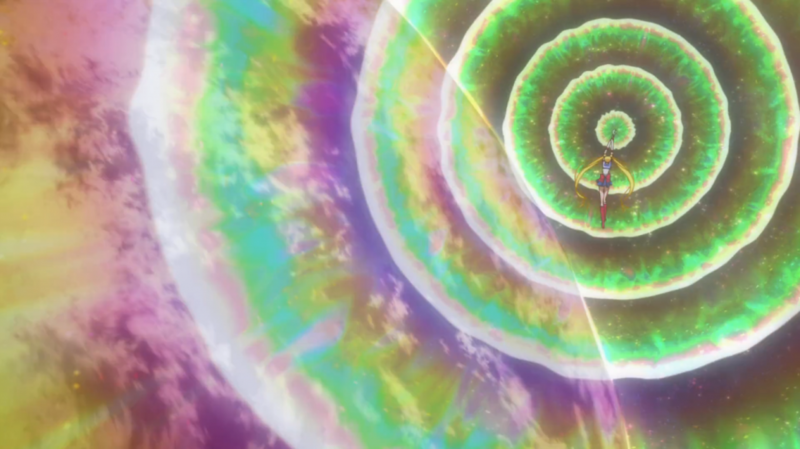 Together they use their powers to create a shield around them as they teleport into space. Once they arrive all they see are ruins of the Moon Kingdom and pure silence. They walked to where the old Prayer Room with the Crystal Towers are still standing. Only the Queen was allowed into this room, since this was the core of the Moon Castle. Sailor Venus heir to the throne?! They noticed in the middle of the room there is a sword in the pedestal. Each of the girls try to pull it out, not even Sailor Jupiter; the strongest one of the group was able to pull it out! 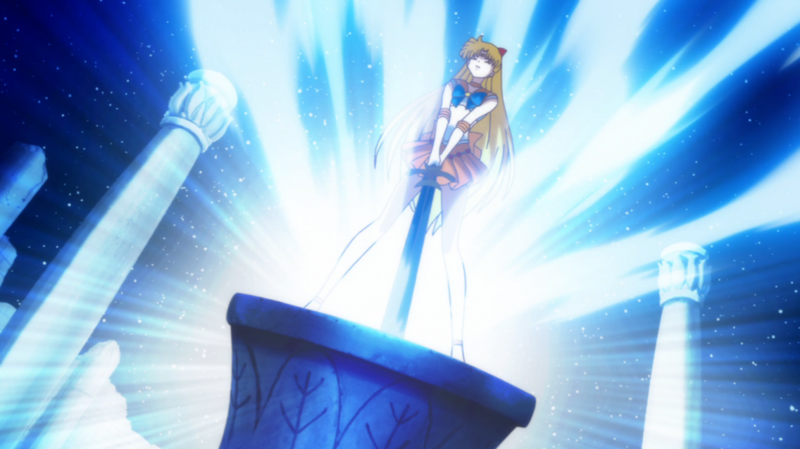 Not until Sailor Venus took a shot at it and she was able to pull the sword out! Suddenly a voice calls out! This was the Holy Sword to protect the princess! The sword belongs to Sailor Mercury, Mars, Jupiter and Venus! Who is the owner of that voice? Its Queen Serenity!! The ruler of the Moon Kingdom during the Silver Millennium and Princess Serenity’s mother! Inner Senshi finds Princess Serenity trying to sneak back into the palace from visiting the Earth. Queen Serenity tells the girls about their past lives as they slowly start to remember it. Princess Serenity always tried to sneak away to go visit the Earth, since it was forbidden for her to go there until the peace talks were settled. The girls will always manage to find her and bring her back to the palace! Those who lived on the Moon lived long lives, so they can guard the Legendary Silver Crystal and watch over the Earth as it grows. During the last year of the Silver Millennium, an evil creature invaded Earth making everyone on Earth turn evil & have hatred against the Moon Kingdom! It event affected Beryl, Prince Endymion’s generals, who were all close allies to him! Its goal was to gain the power of the Legendary Silver Crystal… dun dun dun!!! It became an epic battle, the people of Earth vs Moon Kingdom with Prince Endymion on their side! During the battle, Prince Endymion gets killed by a woman with her sword as he protected his princess. With Princess Serenity witnessing his death, she decided to kill herself with the Holy Sword to join him in death! Why?! He saved her so she can live and than she kills herself?! It is romantic in a way… but still. Knowing her daughter died and not able to win the battle, Queen Serenity sealed the enemy and gave everyone a new life in the future. She wanted to give her daughter another chance in life along with all the other lives that were lost during this battle. In doing that, the Silver Millennium turned into stone with no life able to live on the Moon again, while Earth restarted with the past history erased. Magic always comes with a price! As much as Queen Serenity hoped with the enemy being sealed will help bring peace again, it escaped! The only person who can use the Silver Crystal and defeat the enemy once and for all is Sailor Moon. Will she be strong enough to defeat this evil enemy?! With the light of the Silver Crystal in Mamoru’s body, it cannot be used. Queen Serenity ensures Sailor Moon that the Silver Crystal depends on her heart & desires. If she desires enough to save not only Mamoru, but to defeat the enemy the crystal will shine once more. With Queen Serenity’s last words, be happy and stay true to yourself, she disappears never to be seen or heard from again. This was a sad moment to watch! You can do it Usagi!! Back at enemy headquarters, the Dark Kingdom… The Generals have gotten curious about Queen Beryl, so they follow her to where Queen Metallia is located. 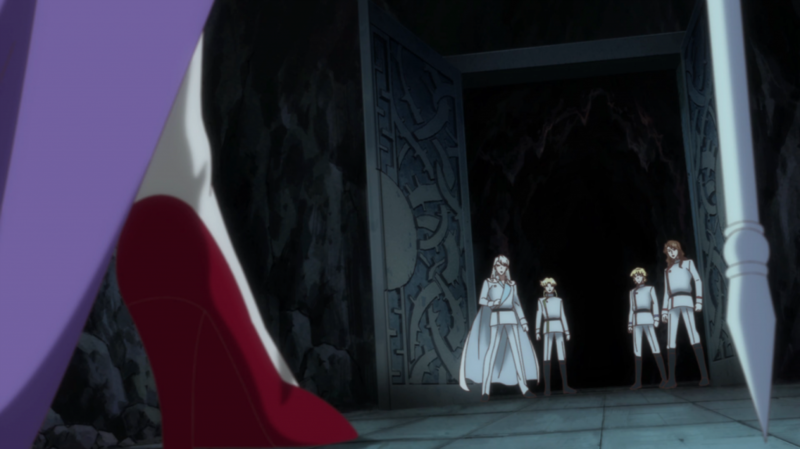 Queen Beryl turns around and confronts them, with that all four Generals regain their memories from their past lives! They were Prince Endymion’s closest allies and friends. Only to have Queen Beryl quickly turn them back to evil. Wow… these guys were easily manipulated… Did they have no will power so far? What was their purpose of staying alive, instead of being killed a while back like in the manga? I hope they will have a purpose later! The Generals forget that Sailor Moon is just standing there and she uses her attack to try to heal the damaged they cause and them. It didn’t work, not even the Inner Senshi trying to heal them worked. They disappear vowing on revenge. Ok… that was kind of sad. I wished they healed a little bit atleast, will they ever be together? While that is going on Queen Beryl obsessed with Mamoru turns him evil and her puppet. This episode finally answered most of the questions about the Silver Millennium and we got to see Queen Serenity. Though with the Generals still around, I feel like they could have done a bit more with them. Maybe there will be in the next few episodes?